So you have a small business and you need some capital? Will you get approved for a small business loan? What are the best options, and who offers the best rates? If you are asking yourself these questions, you came to the right place. Elite Personal Finance is the web’s most trusted source of information for personal and business financial tips. We compiled a list of all of our favorite small business loans and compared them for you to make your search as easy as possible. Below you will find a list of all of the best business lenders and recommendations on which ones may fit your unique scenario. Since 2009, Smartbiz has been offering some of the fastest and least expensive financing options for small businesses. They are able to offer some of the least expensive financing by keeping their requirements high. You must meet very specific criteria in order to get approved, but if you do get approved, their rates are very low. They are actually giving you access to a U.S. Small Business Administration loan, which typically require you to apply through a bank. Their online platform allows for an easy and fast application process, and they offer loans up to $350,000 for approved businesses. Smartbiz is a great fit for a very established business that is in need of capital in order to expand. When we say “very established,” we mean that the average borrower that gets approved by Smartbiz has been in business for 10 years and has an annual revenue of $1 million. If your business is a startup, or is even less than two years old and you have remotely questionable finances, you should not apply to Smartbiz. Funding Circle is a peer-to-peer lending platform based in the UK. Since 2013, they have been offering loans from $25,000 to $500,000 and rates from 5.49% to 27.79%. Their origination fees are 1.49% to 4.99%. They do have some requirements on which businesses should apply and can get approved, but there are not overly stringent. They do require business as well as personal tax returns and bank statements to apply. Funding Circle is great for decently-established businesses with over $150,000 in annual revenue. Since they do require bank statements and tax returns, your financials should be pretty buttoned-down. Startup or new business owners should look elsewhere unless their revenues are above $150,000 annually and they have enough business behind them to show bank statements and tax returns that paint a decent picture of where the business is headed. Their credit score requirements are not as stringent. They will provide a loan to almost any borrower, but the higher the credit score the lower the rates will be. Lending Club is a good fit for a somewhat-established business that has been around at least two years. They offer loans to most borrowers, but depending on your personal credit you may or may not like the terms and rates. If you have been in business less than two years or show sales of less than $75,000 there is no reason to apply. Also, residents of West Virginia and Iowa are not eligible to apply for loans through Lending Club. Prosper does not actually offer small business loans, but we wanted to include them in this list because the offer unsecured personal loans which you can use for your small business if you so choose. They offer rates from 5.99% to 32.99% and their origination fees vary from 1-6%. Startups or small businesses with little to no track record that will not be approved elsewhere may find that it is easier to get a personal loan and use it for the business instead. 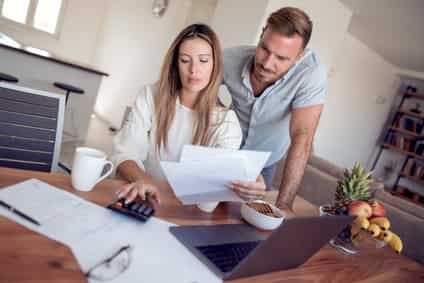 You don’t necessarily need stellar credit to get approved, but the better your personal credit the better the rates and terms of the loan will be. If you want to keep your business and personal finances separate, and do not want to put your personal assets on the line for your business then you should forget about apply for Prosper. In some cases, people are putting everything on the line for their business and this is a great option but if you do not want to take that risk then this is not the right lender for you. OnDeck offers a lot of money ($500,000 maximum) with minimal paperwork and low approval requirements. You must only have been in business for nine months and show revenues of $75,000 annually. However, their rates are rather high and their terms are very short. Their rates vary from 19.99% to 39.99% and they offer terms of anywhere from six months to two years at the most. OnDeck is a great option for businesses that need cash fast but are very confident that they can repay the loan quickly as well. With rates as high as 39.99%, you will want to be sure that you can pay the loan off as fast as possible so you are not paying an arm and a leg in interest. Someone with an established business and decent credit should look for another lender, as their rates and terms will generally be better. However, if you just need cash today and you don’t mind a high APR because you know you will pay it back in a very short time then this may be a good fit for your business. LendingTree is actually not a lender – they are a lending platform that matches you up with potential lenders. They made this list because they are a great source of loans for small businesses. When you apply on LendingTree, they will show you competing offers from various lenders to help you qualify for and choose the right loan that fits your need. 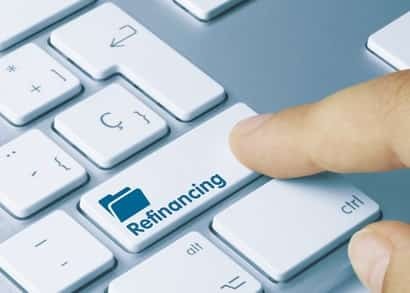 The owners of LendingTree also own Match.com, so you can think of LendingTree as a Match.com for lenders and borrowers. Rates vary by borrower, but are generally 5.96 to 35.99% depending on credit worthiness. If your credit is a bit on the lower side, but you need funds for your business then LendingTree will help you find a lender to get you the funds. However, you will pay a pretty hefty price for those funds. If you have an established business with a good track record and good personal credit, look elsewhere for better terms and rates. BlueVine is one of a few invoice-factoring lenders. The way this works is that they fund your open invoices that you are awaiting payment for. If you operate on Net 30, 60 or 90 there are times when you may have a cash flow crunch due to unpaid invoices. BlueVine will fund your invoices until they are paid and you will pay a fairly nominal fee in exchange, under the assumption that the invoice will be paid and you will repay BlueVine within 90 days. A small B2B business with a good track record, but cash flow problems due to slow-to-pay customers. A company with unreliable customers or a brand new startup may not get approved or funded by BlueVine. They will look at your accounting history to determine average age of invoice payment as well as customer reliability. 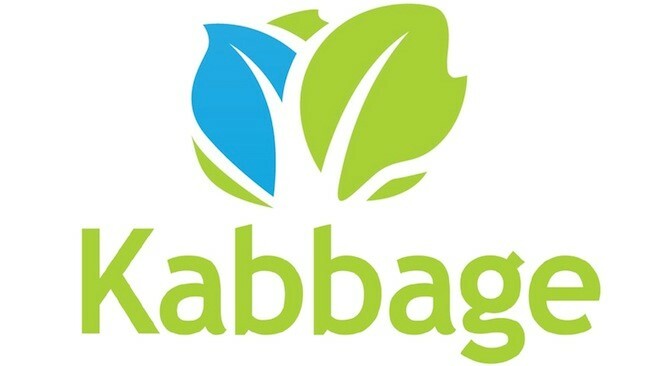 Kabbage is another lender that offers quick capital when you are in a bind and need funds fast. Their application requirements are rather lenient, but their rates are high. If you have bad credit, but need cash fast – Kabbage may be a good fit for you. They have no minimum credit score requirement, only a 1 year business track record required and only $50,000 in annual revenue required. Their rates vary from 32% to 108% so make sure you pay off this loan fast. If you have an established business with a good history and solid credit, look for another lender that offers lower rates. However, if you just need cash fast and your credit is not great or you are a startup, Kabbage could be a great option for you! If you meet these requirements, Fundation is quite competitive and you should definitely apply! Their rates range from 8-30% with an origination fee of 1-3% on your loan. Funding can be as fast as 3 days, which is definitely a plus. Small businesses with several employees and a solid financial footing may be an excellent fit for Fundation. Their rates are extremely competitive and they offer some great terms. If your business does not have 3+ employees (not including yourself) and a fairly solid financial footing, you will want to pass Fundation over and seek another lender. These guys have pretty strict requirements. StreetShares is a peer-to-peer lending network that allows for borrowers and lenders to connect on common interests and passions. This platform is often touted as a platform for veteran-owned businesses because the founder specifically aimed to target veterans with funding their business ventures by partnering with the American Legion and the NVOBA (National Veteran-Owned Business Association). They do offer funding to all businesses, and are not just limited to veteran-owned companies. It is a great fit for smaller businesses that need a small amount of money and lenient repayment terms. If you need more than 20% of your annual revenue as a loan, you will not get it from StreetShares. For example, if you revenue is $100,000 annually the most you could be approved for would be a loan of $20,000. Also there are limitations based on geography and type of business so be sure that your business is not excluded prior to applying. Fundbox is another invoice-factoring platform for improving cash flow in SMB’s. They offer funding in as little as one day on outstanding invoices. They lessen their own risk by tying into your accounting system to verify track record, and keep an eye on invoices to see how fast customers are paying. Small businesses that invoice on Net 30, 60 or 90 terms and are sometimes crunched for cash may be a great fit for Fundbox. They will fund invoices and charge a weekly payment (with a small fee included) until the invoice loan has been repaid. If you do not invoice clients regularly, or do not use a proper accounting system then this will not be a good lender for your business. They require you to allow them to login to your cloud-based accounting system to verify invoices and keep tabs on your finances. Streetshares – If your business is veteran-owned or has a great story to tell, then there is a good chance you can connect with someone at Streetshares over your passion and sell yourself accordingly. Just keep in mind that their loans are for smaller amounts, and limited to only 20% of your annual revenues. Prosper – Just about anyone can get a small business loan through Prosper, but keep in mind that the better rates and terms go to borrowers with better personal credit. Lending Club – Similar to Prosper, Lending Club is pretty lenient about who they give money to, but if your credit score is not ideal then your rates and terms will not be ideal, either. If you have great credit and a startup business, then this could be a great fit for you. Kabbage – Kabbage similarly offers short term high rate loans to businesses in a bind who need cash quickly. Again, if you know you can pay it off within a few months, then it could be an excellent option. If it is going to take you a year or more to pay off the loan, do not even consider a loan from Kabbage as the interest could put you out of business. As long as you pay these guys off quickly, your interest is very minimal.